Chemistry Is A Science Which Deals With Atoms, Gases, Molecules And Crystals. Chemistry is the study of molecular science. Chemistry is the science of matter at the atomic to molecular scale. Chemistry deals primarily with collections of atoms, such as gases, molecules, crystals, and metals. Chemistry deals with the composition and statistical properties of such structures, as well as their transformations and interactions to become materials encountered in everyday life. Chemistry also deals with understanding the properties and interactions of individual atoms with the purpose of applying that knowledge at macroscopic levels. According to modern chemistry, the physical properties of materials are generally determined by their structure at the atomic scale, which is itself defined by interatomic forces. Chemistry - the study of atoms and the structures they unite to form. Chemistry is often called the "central science" because it connects other sciences, such as physics, material science, nanotechnology, biology, pharmacy, bioinformatics, and geology. These connections are formed through various sub-disciplines that utilize concepts from multiple scientific disciplines. For example, physical chemistry involves applying the principles of physics to materials at the atomic and molecular level. Chemistry pertains to the interactions of matter. These interactions may be between two material substances or between matter and energy, especially in conjunction with the first law of thermodynamics. Traditional chemistry involves interactions between substances in chemical reactions, where one or more substances become one or more other substances. Sometimes these reactions are driven by energetic (enthalpic) considerations, such as when two highly energetic substances such as elemental Hydrogen and oxygen react to form the less energetic substance water. Chemical reactions may be facilitated by a catalyst, which is generally another chemical substance present within the reaction media but unconsumed (such as sulfuric acid catalyzing the electrolysis of water) or a non-material phenomenon (such as electromagnetic radiation in photochemical reactions). 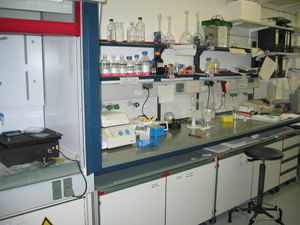 Traditional chemistry also deals with the analysis of chemicals both in and apart from a reaction, as in Spectroscopy. Laboratory, Institute of Biochemistry, University of Cologne. All ordinary matter consists of atoms or the subatomic components that make up atoms; protons, electrons and neutrons. Atoms may be combined to produce more complex forms of matter such as ions, molecules or crystals. The structure of the world we commonly experience and the properties of the matter we commonly interact with are determined by properties of chemical substances and their interactions. Steel is harder than iron because its atoms are bound together in a more rigid crystalline lattice. Wood burns or undergoes rapid oxidation because it can react spontaneously with oxygen in a chemical reaction above a certain temperature. Substances tend to be classified in terms of their energy or phase as well as their chemical compositions. The three phases of matter at low energy are Solid, Liquid and gas. Solids have fixed structures at room temperature which can resist gravity and other weak forces attempting to rearrange them, due to their tight bonds. Liquids have limited bonds, with no structure and flow with gravity. gases have no bonds and act as free particles. Another way to view the three phases is by volume and shape: roughly speaking, solids have fixed volume and shape, liquids have fixed volume but no fixed shape, and gases have neither fixed volume nor fixed shape. water (H2O) is a Liquid at room temperature because its molecules are bound by intermolecular forces called Hydrogen bonds. Hydrogen sulfide (H2S) on the other hand is a gas at room temperature and standard pressure, as its molecules are bound by weaker dipole-dipole interactions. The hydrogen bonds in water have enough energy to keep the water molecules from separating from each other but not from sliding around, making it a liquid at temperatures between 0 ºC and 100 ºC at sea level. Lowering the temperature or energy further, allows for a tighter organization to form, creating a solid, and releasing energy. Increasing the energy (see heat of fusion) will melt the ice although the temperature will not change until all the ice is melted. Increasing the temperature of the water will eventually cause boiling (see heat of vaporization) when there is enough energy to overcome the polar attractions between individual water molecules (100 ºC at 1 atmosphere of pressure), allowing the H2O molecules to disperse enough to be a gas. Note that in each case there is energy required to overcome the intermolecular attractions and thus allow the molecules to move away from each other. scientists who study chemistry are known as chemists. Most chemists specialize in one or more sub-disciplines. The chemistry taught at the high school or early college level is often called "general chemistry" and is intended to be an introduction to a wide variety of fundamental concepts and to give the student the tools to continue on to more advanced subjects. Many concepts presented at this level are often incomplete and technically inaccurate, yet they are of extraordinary utility. Chemists regularly use these simple, elegant tools and explanations in their work because they have been proven to accurately model a very wide array of chemical reactivity, are generally sufficient, and more precise solutions may be prohibitively difficult to obtain. The science of chemistry is historically a recent development but has its roots in alchemy which has been practiced for millennia throughout the world. The word chemistry is directly derived from the word alchemy; however, the etymology of alchemy is unclear (see alchemy). History of chemistry, alchemy, and Nobel Prize in Chemistry. 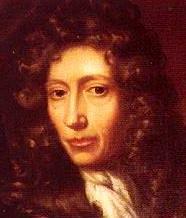 Robert Boyle - founder of modern chemistry through use of controlled experiments, as contrasted with earlier rudimentary alchemical methods. The roots of chemistry can be traced to the phenomenon of burning. This led to metallurgy. First, metals were purified from their ores, and later on alloys were created as a means of strengthening metals. This was a process that happened over thousands of years. Gold had been purified long before the first alloys were created. However, the underlying process for purifying gold was not well understood. It was thought to be a transformation rather than purification. Many scholars in those days thought it reasonable to find a means for transforming cheaper (base) metals into gold. This led to the rise of alchemy, and the search for the Philosopher's Stone, believed to help create such a transformation. Another force gave rise to alchemy: the plagues and blights that rocked Europe during what have been called the Dark Ages. This gave rise to a need for medicines. It was thought that there might exist a cure-all for all disease, called the Elixir of Life. However, like the Philosopher's Stone, neither one were ever found. Alchemy for many was an avenue for charlatans to create fake medicines and counterfeit money. For others, it was an intellectual pursuit that could not separate superstition from scientific inquiry. Over time, practitioners got better at it. Paracelsus (1493-1541) rejected the 4-element theory and with only a vague understanding of his chemicals and medicines, formed a hybrid of alchemy and science in what was to be called iatrochemistry. Following the influences of philosophers such as Sir Francis Bacon (1561-1626) and René Descartes (1596-1650), a scientific revolution ensued. These philosophers demanded more rigor in mathematics and in removing bias from scientific observations. In chemistry, this began with Robert Boyle (1627-1691), who discovered gases, and came up with equations that were known as Boyle's Law. The person celebrated as the Father of Chemistry was Antoine Lavoisier (1743-1794), who developed the theory of Conservation of mass in 1783. The discoveries of the chemical elements has a long history from the days of alchemy and culminating in the creation of the periodic table of the chemical elements by Dmitri Mendeleyev (1834-1907). The Nobel Prize in Chemistry created in 1901 gives an excellent overview of chemical discovery in the past 100 years. Chemistry and the chemical Industry. physical chemistry is the study of the physical and fundamental basis of chemical systems and processes. In particular, the energetics and dynamics of such systems and processes are of interest to physical chemists. Important areas of study include Chemical thermodynamics, Chemical kinetics, electrochemistry, statistical mechanics, and Spectroscopy. Physical chemistry has large overlap with molecular physics. Physical chemistry involves the use of calculus in deriving equations. It is usually associated with quantum chemistry and theoretical chemistry. Physical chemistry is a distinct discipline from chemical physics. Theoretical chemistry is the study of chemistry via fundamental theoretical reasoning (usually within mathematics or physics). In particular the application of quantum mechanics to chemistry is called quantum chemistry. Since the end of the Second World War, the development of computers has allowed a systematic development of computational chemistry, which is the art of developing and applying computer programs for solving chemical problems. Theoretical chemistry has large overlap with (theoretical and experimental) condensed matter physics and molecular physics. Essentially from reductionism theoretical chemistry is just physics, just like fundamental biology is just chemistry and physics. Other fields include Astrochemistry, Atmospheric chemistry, Chemical Engineering, Chemo-informatics, electrochemistry, Environmental chemistry, Flow chemistry, Geochemistry, Green chemistry, History of chemistry, materials science, Medicinal chemistry, molecular biology, molecular genetics, Nanotechnology, Organometallic chemistry, Petrochemistry, Pharmacology, photochemistry, Phytochemistry, Polymer chemistry, Solid-state chemistry, Sonochemistry, Supramolecular chemistry, Surface chemistry, Immunochemistry and Thermochemistry. An atom is a collection of matter consisting of a positively charged core (the atomic nucleus) which contains protons and neutrons, and which maintains a number of Electrons to balance the positive charge in the nucleus. The Atom is also the smallest portion into which an element can be divided and still retain its properties, made up of a dense, positively charged nucleus surrounded by a system of electrons. The most convenient presentation of the chemical elements is in the periodic table of the chemical elements, which groups elements by atomic number. 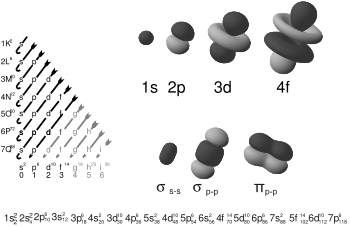 Due to its ingenious arrangement, groups, or columns, and periods, or rows, of elements in the table either share several chemical properties, or follow a certain trend in characteristics such as Atomic radius, Electronegativity, electron affinity, etc. Lists of the elements by name, by symbol, and by atomic number are also available. In addition, several isotopes of an element may exist. An ion is a charged species, or an atom or a molecule that has lost or gained one or more electrons. Positively charged cations (e.g. Sodium cation Na+) and negatively charged anions (e.g. chloride Cl-) can form neutral salts (e.g. sodium chloride NaCl). Examples of polyatomic ions that do not split up during acid-base reactions are hydroxide (OH-) and phosphate (PO43-). A compound is a substance with a fixed ratio of Chemical elements which determines the composition, and a particular organization which determines chemical properties. For example, water is a compound containing Hydrogen and oxygen in the ratio of two to one, with the oxygen between the hydrogens, and an angle of 104.5º between them. Compounds are formed and interconverted by chemical reactions. A chemical substance can be an element, compound or a mixture of compounds, elements or compounds and elements. Most of the matter we encounter in our daily life are one or another kind of mixtures, e.g. air, alloys, biomass etc. electron atomic and molecular orbitals. A chemical bond is the multipole balance between the positive charges in the nuclei and the negative charges oscillating about them. More than simple attraction and repulsion, the energies and distributions characterize the availability of an electron to bond to another atom. These potentials create the interactions which holds together atoms in molecules or crystals. In many simple compounds, Valence Bond Theory, the Valence Shell Electron Pair Repulsion model (VSEPR), and the concept of oxidation number can be used to predict molecular structure and composition. Similarly, theories from classical physics can be used to predict many ionic structures. With more complicated compounds, such as metal complexes, valence bond theory fails and alternative approaches, primarily based on principles of quantum chemistry such as the molecular orbital theory, are necessary. See diagram on electronic orbitals. States of matter in chemistry: Phase (matter). The most familiar examples of phases are solids, Liquids, and gases. Less familiar phases include plasmas, Bose-Einstein condensates and fermionic condensates and the paramagnetic and ferromagnetic phases of magnetic materials. Even the familiar ice has many different phases, depending on the pressure and temperature of the system. While most familiar phases deal with three-dimensional systems, it is also possible to define analogs in two-dimensional systems, which has received attention for its relevance to systems in biology. A Chemical reaction is a process that results in the interconversion of Chemical substances. 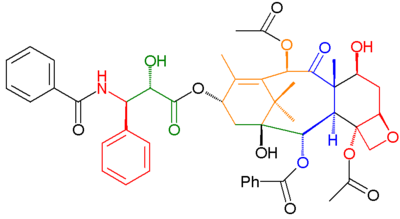 Such reactions can result in molecules attaching to each other to form larger molecules, molecules breaking apart to form two or more smaller molecules, or rearrangement of atoms within or across molecules. Chemical reactions usually involve the making or breaking of chemical bonds. For example, substances that react with oxygen to produce other substances are said to undergo oxidation; similarly a group of substances called acids or alkalis can react with one another to neutralize each other's effect, a phenomenon known as neutralization. substances can also be dissociated or synthesized from other substances by various different chemical processes. A stricter definition exists that states "a Chemical Reaction is a process that results in the interconversion of chemical species". Under this definition, a chemical reaction may be an elementary reaction or a stepwise reaction. An additional caveat is made, in that this definition includes cases where the interconversion of conformers is experimentally observable. Such detectable chemical reactions normally involve sets of molecular entities as indicated by this definition, but it is often conceptually convenient to use the term also for changes involving single molecular entities (i.e. 'microscopic chemical events'). Quantum chemistry mathematically describes the fundamental behavior of matter at the molecular scale. It is, in principle, possible to describe all chemical systems using this theory. In practice, only the simplest chemical systems may realistically be investigated in purely quantum mechanical terms, and approximations must be made for most practical purposes (e.g., Hartree-Fock, post Hartree-Fock or Density functional theory, see computational chemistry for more details). Hence a detailed understanding of quantum mechanics is not necessary for most chemistry, as the important implications of the theory (principally the orbital approximation) can be understood and applied in simpler terms. In quantum mechanics (several applications in computational chemistry and quantum chemistry), the Hamiltonian, or the physical state, of a particle can be expressed as the sum of two operators, one corresponding to kinetic energy and the other to potential energy. The Hamiltonian in the Schrödinger wave equation used in quantum chemistry does not contain terms for the spin of the electron. Solutions of the Schrödinger equation for the hydrogen atom gives the form of the wave function for atomic orbitals, and the relative energy of say the 1s,2s,2p and 3s orbitals. The orbital approximation can be used to understand the other atoms e.g. helium, lithium and carbon. Dalton's law of multiple proportions says that these chemicals will present themselves in proportions that are small whole numbers (i.e. 1:2 O:H in water); although in many systems (notably biomacromolecules and minerals) the ratios tend to require large numbers, and are frequently represented as a fraction. Such compounds are known as non-stoichiometric compounds. Egyptian alchemy (5,000 BC - 400 BC), Alexandria has the world’s largest library. Greek alchemy (332 BC - 642 AD), the Greeks take over Alexandria. Arabian alchemy (642 AD - 1200), the Arabs take over Alexandria; Jabir is the main chemist. European alchemy (1300 - present), Pseudo-Geber builds on Arabic chemistry. Chemistry (1661), Boyle writes his classic chemistry text The Sceptical Chymist. Chemistry (1787), Lavoisier writes his classic Elements of Chemistry. Chemistry (1803), Dalton publishes his Atomic Theory. Thus, an alchemist was called a 'chemist' in popular speech, and later the suffix "-ry" was added to this to describe the art of the chemist as "chemistry". Pauling, L. The Nature of the chemical bond (Cornell University Press) ISBN 0-8014-0333-2. Pauling, L., and Wilson, E. B. Introduction to Quantum Mechanics with Applications to Chemistry (Dover Publications) ISBN 0-486-64871-0. Pauling, L. General Chemistry (Dover Publications) ISBN 0-486-65622-5. Atkins, P.W. Galileo's Finger (Oxford University Press). World Association of Theoretical and Computational Chemists. Reading list for university students on chemistry. Atkins,P.W. Physical Chemistry (Oxford University Press) ISBN 0-19-879285-9. Atkins,P.W. et al. Molecular Quantum Mechanics (Oxford University Press). McWeeny, R. Coulson's Valence (Oxford Science Publications) ISBN 0-19-855144-4. Stephenson, G. Mathematical Methods for Science Students (Longman)ISBN 0-582-44416-0. Smart and Moore Solid State Chemistry: An Introduction (Chapman and Hall) ISBN 0-412-40040-5. Atkins,P.W., Overton,T., Rourke,J., Weller,M. and Armstrong,F. Shriver and Atkins inorganic chemistry(4th edition) 2006(Oxford University Press) ISBN 0-19-926463-5. Clayden,J., Greeves,N., Warren,S., Wothers,P. Organic Chemistry 2000 (Oxford University Press) ISBN 0-19-850346-6. Voet and Voet Biochemistry (Wiley) ISBN 0-471-58651-X.